Before becoming a family law lawyer, Jeffrey was a specialized locksmith, working on time-locks in banks throughout Ontario and Manitoba. Then, he managed a fitness equipment store and was a certified personal trainer. However, he left to attend Carleton University in Ottawa and completed an undergraduate degree in Psychology with Distinction. He received, amongst other honoraria, a Senate Medal for academic achievement. After completing an additional year in Business, Jeffrey completed his law degree at Osgoode Hall and was recognized for achieving the highest grades in both Bankruptcy and Insolvency Law and in Debtor/Creditor Law. While working at a prominent firm in Ottawa, Jeffrey co-authored a paper published by the Law Society of Ontario on Insolvency. Jeffrey has been very active in the community, by volunteering at a soup kitchen and as a Sunday school teacher, sitting as a board member for a condominium corporation, speaking as part of a Carleton University panel, and participating in the Mensa Canada Society and Toastmasters. 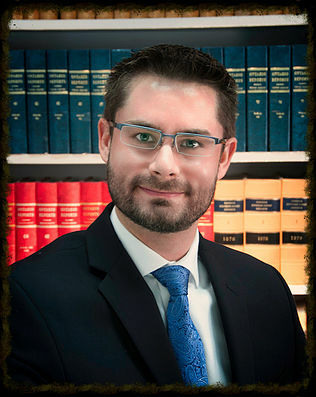 Jeffrey practices solely in the area of family law, despite also having experience in other areas of law. Recognizing the importance that family law plays in people’s lives, Jeffrey uses his experience and knowledge to help his clients resolve the issues and finalize their matter. Family law is very rewarding to him, as he enjoys helping people stand up for their legal rights so they are not taken advantage of. While his focus is to first negotiate and complete a separation agreement, he accepts that litigating in court is often necessary and is just as comfortable in court. In order to properly discuss the legal issues and to provide effective advice to his clients on the best way to proceed, Jeffrey works closely with his clients at each step. He also prides himself in making himself readily available to clients and in being responsive to their questions and needs. With the firm’s office in Burlington, Jeffrey happily serves clients throughout the Halton and Hamilton regions. To schedule a confidential and free 1/2 hour consultation with Jeffrey in Burlington, please call our office at (905) 336-6919.